Official Disney News: Star Wars: Episode VII to Open 12/18/2015! I have fresh news direct from Disney: Star Wars: Episode VII will open December 18, 2015! I know it's a long ways off, but I personally know several people who are dying for every drop of Star Wars news they can have, and I bet a lot of you are the same way! 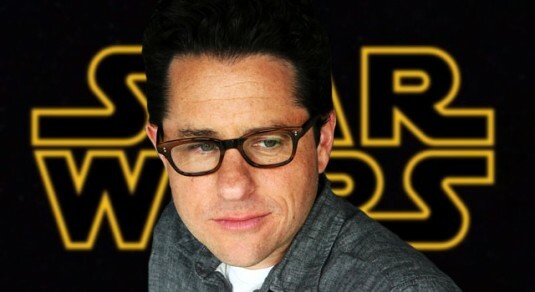 If you missed it the first time around, I've already posted some details about J.J. Abrams and Star Wars: Episode VII. Pre-production of Star Wars: Episode VII is in full-swing. “We're very excited to share the official 2015 release date for Star Wars: Episode VII, where it will not only anchor the popular holiday filmgoing season but also ensure our extraordinary filmmaking team has the time needed to deliver a sensational picture,” said Alan Horn, chairman of The Walt Disney Studios. Star Wars: Episode VII will be directed by J. J. Abrams (Super 8, Mission: Impossible III, Star Trek)and is being scripted by Abrams and Lawrence Kasdan (Raiders of the Lost Ark, The Empire Strikes Back, Return of the Jedi). Lucasfilm president Kathleen Kennedy, J.J. Abrams, and Bryan Burk are producing, with Tommy Harper (Mission: Impossible – Ghost Protocol, Jack Ryan, Star Trek Into Darkness) and Jason McGatlin (Tintin, War of the Worlds) serving as executive producers. John Williams is returning to score Star Wars: Episode VII. I'm on the list to receive additional news on Star Wars: Episode VII as it's released. When I do, you all will be the first people I share it with! Visit StarWars.com: All Star Wars, All the time. My son is 5 and he’s obsessed with Star Wars. Do you know what this one is rated? He’ll be 7 by the time Star Wars Episode 7 comes along. No, I don’t know the rating, but when I do I’ll be sure to announce it on this site 🙂 Thanks for your comment! My kids will actually be in college when this movie is released, but I can guarantee you that the’ll be first in line to see it. I’m sending them this article right now! Marybeth! How is it that I heard about the new Star Wars movie from you on your baby deals website? That’s awesome! Maybe I’ll see you soon? Probably not 🙂 Keep this news coming. What else do you know about the new Star Wars? OMG, Mark, your comment just made me laugh so hard! First, I love sharing entertainment news like this because I just love it. Remember, babies don’t read this site, adults do, and sometimes parents just don’t have time to go seeking out entertainment news they’d like to know about. I like to bring it to them in addition to all the baby deals 🙂 Plus, I like to surprise guys like you! This is exciting! Thanks for sharing the news!